Sending Word letters from another e-mail address only works when Outlook version 2007 or 2010 are installed and the macro's are available in the Word documents. It is necessary to have full rights of the 'other' email address, otherwise you are not able to send the e-mail from the other address, your own will be used. Click here for more information how to insert the macro's. 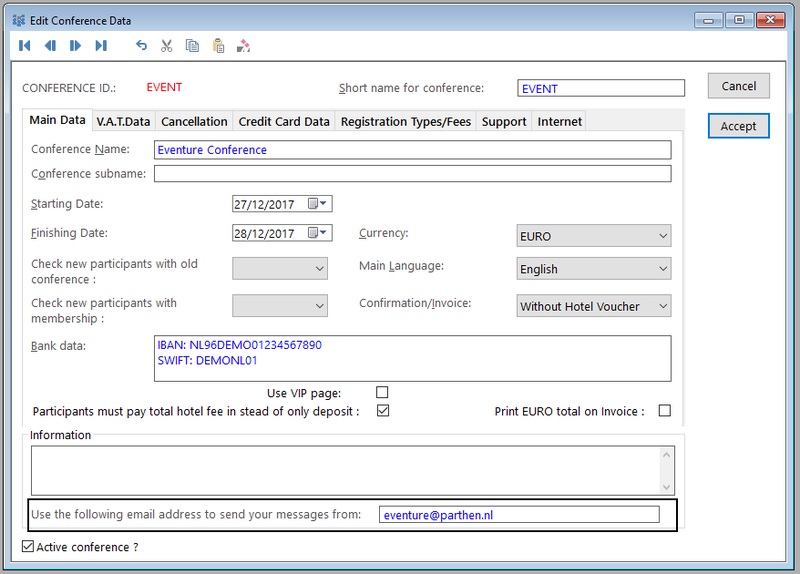 In 'Edit conference data' in the main module, you will see a possibility to send mail from another e-mail address. Insert the email you want to send from and click on Accept. Click on OK and the email address is set.